Tour prices are set per person in Euros and are based on two persons sharing a room. If you request a single occupancy room, a single supplement will be added to the regular tour prices. A non-refundable deposit is required to book a tour. Please contact us to confirm the price of deposit because deposit prices vary depending on the tour. Reservations will be confirmed upon our receipt of a signed booking form and deposit. Make payments via PayPal, bank transfer or Credit card ( in this case an extra fee of 3% of the total amount is applied) . Sicily By Experts is not responsible for transaction fees charged by PayPal, banks or other wire transfer companies and those incurred fees must be paid by the traveler. The entire deposit amount requested must be paid to Sicily By Experts for reservation confirmation. Reservations made without payment in full as of maximum 20 days prior to the date of a tour will be subject to cancellation and forfeiture of deposit. Please note that breakfasts in Europe do not usually include American breakfast items such as pancakes, waffles, omlettes, ham, eggs, etc. Instead, we typically use accommodations that offer buffet-style breakfasts. Sicily By Experts reserves the right to use photographs of clients taken during tours in our promotional materials without compensation or advanced notice. If you desire that a specific picture of you not be used, please contact us and we will remove the picture from our promotional materials. Full refunds will be made only if Sicily By Experts cancels a tour. Sicily By Experts cannot and will not refund or re-apply payments or deposits in the event of a cancellation by a traveler. Cancellations due to medical reasons can only be covered by your travel insurance carrier. We strongly advise that you purchase travel insurance to protect yourself in the event that you need to cancel your reservations. There will be no refunds for any unused portion of the tour. 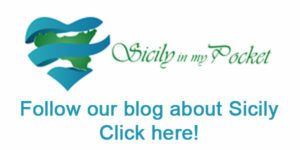 Sicily By Experts guarantees high quality programmes for small numbers of participants. We maintain such consistent quality by guaranteeing payment to all those involved in the programme (i.e. cooks, drivers, guides, hotel owners). It’s impossible to refund or re-apply deposits or payments in the event of cancellations made by travelers because we must run the programme for those who still have reservations. Additionally, we must honor our payments to our suppliers. Therefore, we strongly urge you to purchase travel insurance. Please consult with your travel agent to purchase the necessary insurance to protect yourself in the event of an emergency, catastrophe, unexpected illness, or death. Should there be any problems during your trip that are not satisfactorily resolved by our driver or guide , you must contact Sicily By Experts during your stay so that adjustments can be made immediately. If you want to alter your tour in any way, we will do our best to accommodate your changes. However, all changes will depend on availability and we reserve the right to charge an adjustment fee. Tour change requests will be considered at the discretion of Sicily By Experts and must be submitted 30 days prior to the tour. It is the responsibility of the traveler to obtain valid passports, visas and other necessary travel documents. Please check with your local embassy or consulate. Sicily By Experts cannot accept responsibility if you are refused access to a country due to improper documentation. Sicily By Experts and its representatives shall not be responsible for any expense or liability resulting from labor disputes, war, acts of terrorism, government restraints, weather conditions, sickness, or any other cause beyond their control. Sicily By Experts and its representatives reserve the right to accept or refuse any person as a participant of any tour if circumstances so demand. Sicily By Experts reserves the right to change itineraries and/or substitute services or accommodations of equal quality ( in case of particular problems ) without prior notification. By submitting this form, I certify that I have read, understood and agreed to termins on conditions.